Fleece sleeping bags are more commonly referred to as sleeping bag liners. These thin bags can be used solo in warm weather- perfect for spring and summer camping trips where even a light normal bag is a bit too warm. 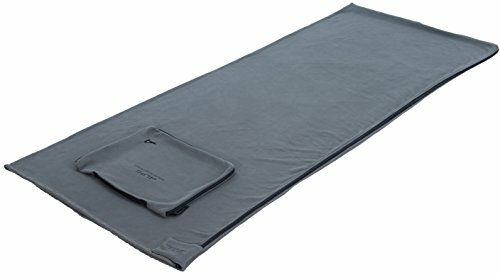 Fleece sleeping bags are also great for use in a hammock, especially if you use a hammock quilt as well. Chose your best fleece sleeping bags for your need from our review list. Typically you’ll get the most use out of a fleece sleeping sack by using it to add extra warmth in your actual sleeping bag. It is a versatile sleep system piece of gear and can actually save you money. For example, if you’re more of a casual camper the cost of buying multiple sleeping bags may not be worth it for you. A fleece sleeping bag can be your solo bag in summer or combined with a normal sleeping bag for moderate to cold weather camping. With the help of a fleece liner, you could be camping through three seasons with one sleeping bag, though you will probably need a heavier-duty bag for winter camping. You can find other polyester liners and silk but fleece has a few advantages. First off, it is incredibly soft and gives a warmer feel. You can find fleece bags in a wider range of thicknesses and offers more general comfort than other materials. Fleece traps body heat more efficiently and will maintain heat better if it gets damp. Typically fleece liners are less expensive as well. Fleece sleeping bags to take up more space when packed as they are heavier, which can be a disadvantage. If you are a backpacker it may be better to invest in a silk liner or just go straight for an ultralight-friendly sleeping bag. 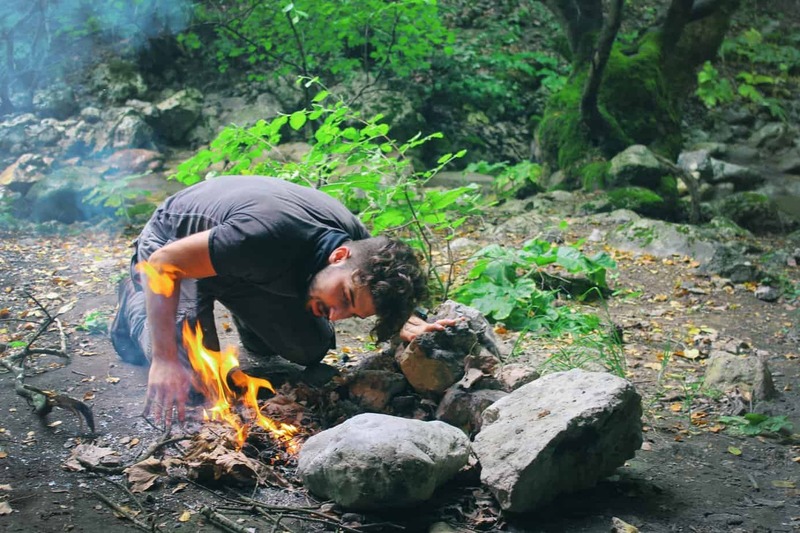 If you don’t have a fleece sleeping bag in your cache of camping gear, consider adding one of these three to your wish list. ALPS Mountaineering focuses on durability and performance. 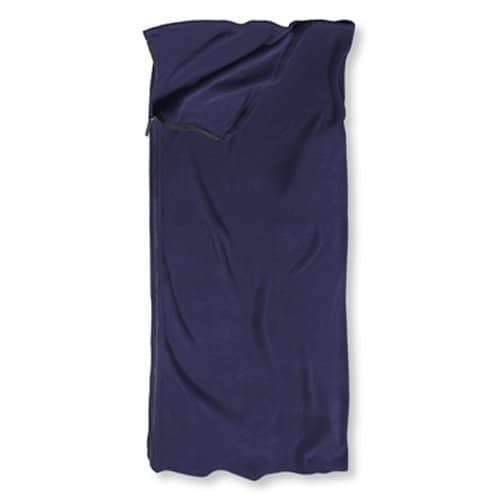 It’s no surprise that their fleece sleeping bag is one of the best fleece sacks you can find. Compared to the others this one is a heavier duty model. The thickness and toughness of the fabric make it ideal for solo use or even as a sleep sack during traveling or stays in hostels. The fleece case that comes with the bag serves two purposes. Its main purpose is to store and pack the folded up sleeping bag. Its second purpose is a camp pillow. There are two ways you can use this product as a pillow. First off, if you decide you don’t need to use the liner you can simply keep it in its case and use it as a pillow that way. Otherwise, you can stuff a large jacket or some clothes into the case to function as pillow stuffing. ALPs doesn’t give any information on a temperature range for this sleeping bag but many customers find it to be surprisingly warm. You can expect at least a 5F degree increase, if not more. This bag is fairly heavyweight, which is a downside, but it does mean it will offer more warmth than other lighter bags. This sleeping bag retails for $49.99 but you can often find it on sale for under $35 (check this listing for the latest live prices). Overall this is an excellent fleece sleeping bag for those who want something heavier in weight for those chilly cold weather camping trips. If you have a budget of under $25 and warmth isn’t your primary concern for a fleece bag, the Cocoon Microfiber Mummy Liner is perfect. This sleeping bag doesn’t rate overall as highly as the other two but carefully reviewing customer feedback will show you that the bag itself is fine. Women, teens and average to small men will find this liner to fit perfectly. Those who are over 250lbs or are very tall may find that the Cocoon lives up to its name a little too well. The Cocoon Microfiber Mummy liner is designed to add warmth as well as protect the interior of your regular sleeping bag. It is quite lightweight, both in terms of weighing only half a pound and being a light fleece. This bag should add roughly 5F (3C) of warmth to your typical sleeping bag. On its own, it would only be appropriate for very warm summers night or inside a cabin/house. The microfiber fleece material is slick enough that it is easy to get into your bag but won’t get twisted up as you move around. The slim mummy fit is perfect for most mummy-shaped bags but will also work fine in typical rectangular bags. Overall this liner feels great against the skin and is quite breathable. It is also easy to care for, with machine wash and tumble dry being all you need to get it looking like new again. Soft, plush fleece is comfortable next to the skin.